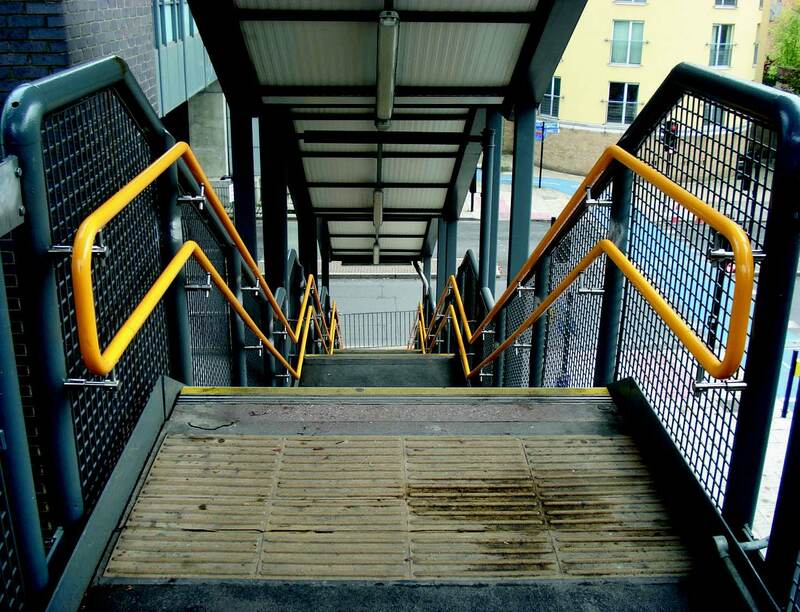 SG System Products handrails improve Docklands Light Railway ..
Stargard, the original “warm to the touch” DDA compliant handrail from SG System Products, has been used to replace existing handrails at stations along the route of London’s Docklands Light Railway. The 4mm (4,000 microns) thick PVC sleeve was manufactured in a special melon yellow colour requested by DLR and this colour is consistent throughout the material. The handrail is also designed and manufactured to resists knocks and bumps. It is fitted using stainless steel brackets to keep ongoing maintenance to a minimum.